That Kia Sorento parked in your driveway may have a defect. 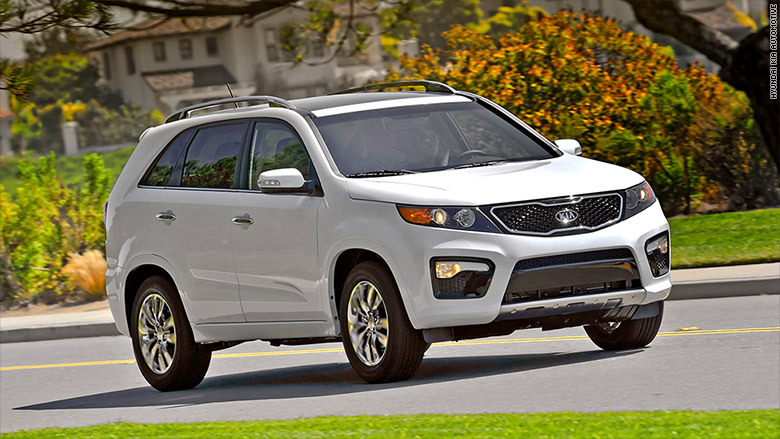 Kia Motors America is recalling hundreds of thousands of Sorentos, model year 2011 to 2013, according to a safety recall report from the National Highway Traffic Safety Administration. The company is recalling the vehicles over concerns that a brake-shift interlock mechanism could chip or crack, letting the transmission shift out of park without the brake being depressed, according to a confirmation letter from the NHTSA. Kia said on its website that it will replace the brake-shift interlock mechanism at no cost to its customers. The company recommends as a precaution to engage the parking brake firmly, and to make sure the gear shift is positioned securely in park. Recall documents indicate that 377,062 vehicles could potentially be involved.